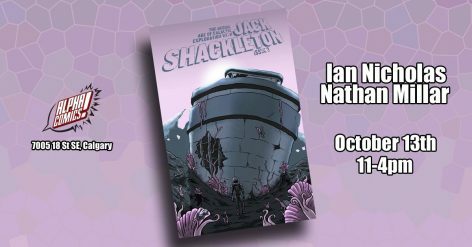 Visit Alpha Comics on October 13th to meet Ian Nicholas and Nathan Millar and check out their comic, The Heroic Age of Galactic Exploration with Jack Shackleton! Chris is the proud owner of Alpha Comics. He's a life long comic fan with a huge love of the medium.